Register ($20 includes T-Shirt) for our 1st Annual 5K Walk raising funds to support organizations researching medical cures for diseases that plague mankind. 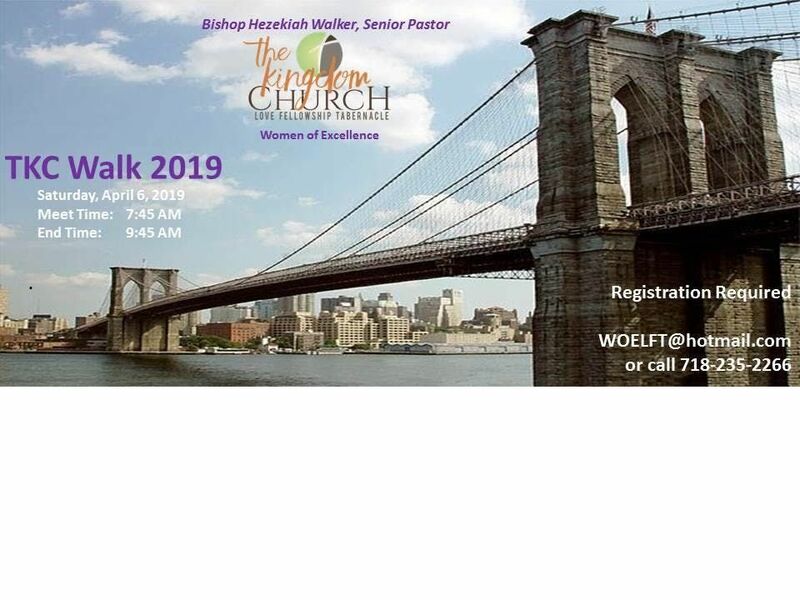 Men on Purpose/Women of Excellence, Visitors and Friends:Join us on April 6th for our 1st Annual walk across the historic Brooklyn Bridge. The purpose of this walk is to corporately raise funds, on behalf of TKC LFT, to support medical research cure for diseases that plague mankind. TKC LFT supports this effort with prayer as well as financially. Additional details available at registration. Each “TKC Walker” is encouraged to ask for a $10 sponsorship from ten (10) non-LFT members to support this effort (co-workers,relatives, friends, neighbors, etc…). 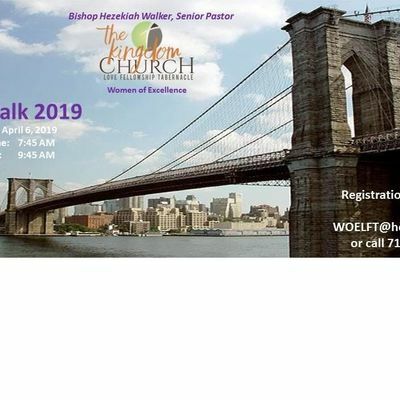 If you are not able to walk with us on April 6th, please make a donation directly to the TKC Walk 2019 Registration to show your support. All 2019 TKC Walkers who register by the deadline, complete the walk and submit sponsor sheet and monies by the deadline are welcome to complete a Donation Form at registration. If more than 4 medical research organizations are submitted for donation, LFT will place all organizations into a box and 4 forms will be randomly selected for a 2019 TKC Walk Donation due to limited funding. In 2020, the same process will take place, however, organizations that receive donations in 2019 will not be eligible to receive donations until 2022.